Texas, we’ve got a problem — a serious problem. A large part of our election technology across Texas is past its recommended useful life of 10 years. On top of that, the U.S. Department of Homeland Security says Russia tried to hack our state's election infrastructure. As if these problems are not disconcerting enough for our democracy, 9 million registered voters in Texas chose to stay home during the 2014 gubernatorial election. Our democracy is in trouble, and only we can save it. When I was sworn in as a state representative, I took an oath to preserve, protect and defend the Constitutions of Texas and of the United States. I spend much of my time working to increase participation in our elections. While never easy, my mission to get more Texans to the polls is even harder when folks aren't confident their votes will count. That’s why I’m calling on Gov. Abbott, Lt. Gov. Dan Patrick, Speaker Joe Straus and Secretary of State Rolando Pablos to immediately establish a bipartisan public taskforce addressing how to update the state’s voting technology. This commission must find funding for new voting machines to ensure every Texan's vote counts. Texas is a bellwether state, and the actions we take resonate across the entire country. In many of our counties, it's like we are driving a 15-year-old vehicle down the highway that was meant to last no more than 10 years; it will leave us stranded if we don't act quickly. We need a plan to find funding to replace voting machines and infrastructure that is more than a decade old. We cannot allow our counties to continue using antiquated voting systems in a state full of technological talent and innovation. We cannot afford for our voter rolls to be compromised or our machines to fail. Here’s a news flash: Texas officials have known about these crises for a while and advocates have been calling for improvements to our aging infrastructure for years. Texas has 254 counties charged with running their own elections. As vice chair of the Texas House Committee on Elections, I have heard hours of testimony from state and county officials, as well as other interested advocates who have an expert understanding of election infrastructure, technology and the Texas Election Code. I have never met public servants who love process and procedure more than the Texas county clerks and election administrators who run our elections. They crave systemic upgrades as technology advances. They want nothing more than for Texas voters to be aware of election processes. These public servants have made it clear they would welcome a bipartisan solutions-oriented discussion about their life's work — work that just happens to affect our future. Whether or not hackers have been successful at accessing our elections infrastructure, we must fortify our security and have open discussions with experts about how to do so. When the federal government says Texas was targeted by Russian hackers, we need to talk about it publicly. One example is that Texas will receive about $23 million from the federal Help America Vote Act (HAVA) this year, and the Legislature has not been consulted on how these taxpayer dollars should be spent. This process has to be public and should be addressed by a bipartisan group of experts. We have a wealth of talent eager to help: security experts, voting systems experts and many good public servants who want the best for Texas voters. Voters I've talked to want to know if we're looking into paper ballot options and whether our systems are secure. We can find the answers together and without partisanship because our elections are too important to be bogged down by who stands to win or lose. All voters lose if we fail to take action right away. 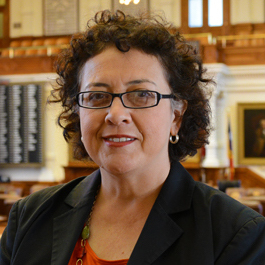 State Rep. Celia Israel has been a financial supporter of The Texas Tribune, a nonprofit, nonpartisan news organization that is funded in part by donations from members, foundations and corporate sponsors. Financial supporters play no role in the Tribune's journalism. Find a complete list of them here.